I’m Ed Smith, a Roseville Motorcycle Accident Lawyer. 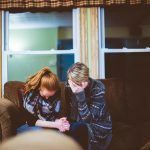 Frequently, my office meets families whose loved ones suffered traumatic injuries — or passed away – in motorcycle accidents. After offering our condolences, we sometimes learn that the injured person may have been lane-splitting. At present, California is the only state in America that allows riders to make lane-splitting maneuvers that involve weaving in and out of lanes while passing other vehicles. Other terms for this practice include filtering, lane sharing, white-lining, and stripe-riding. What often makes this extra dangerous is when motorcyclists drive too fast or move forward in the blind spots of nearby vehicles. Just recently, a 27-year-old man riding along Interstate 205 on a 2007 Harley-Davidson was killed near Tracy. 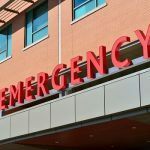 He had just begun lane-splitting when his bike accidentally clipped a semitrailer – causing the motorcycle to roll over and forcing the rider to slide under the big rig. The California Highway Patrol says this young man was declared dead at the scene after the semitrailer dragged him for a distance. 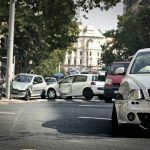 If you’re a motorcyclist, it’s important to learn about California’s lane-splitting law and to follow the California Highway Patrol’s “Lane Splitting General Guidelines” published online as part of “CHP’s” California Motorcyclist Safety Program. These guidelines will be reviewed below after noting California’s new law addressing this topic. Governor Brown signed Assembly Bill 51 into law, making this road practice a legal maneuver throughout the state. This law also authorized the California Highway Patrol and the DMV to create safety guidelines for motorcyclists who choose to practice lane-splitting. Act responsibly and respectfully of other drivers – remember that if you cut-off another driver – you could be creating a serious accident that may cost you your life. Watch Youtube Video – New law puts guidelines into place on motorcylists lane splitting. In this video learn the organizations that are coming together to develop guidelines for motorcycle safety and lane-splitting. For more information visit the CHP facebook page to educate yourself on motorcycle safety. A study commissioned by California’s Office of Traffic Safety (that involved reviewing over 6,000 motorcycle accidents) found that about 17% of them involved lane-splitting. 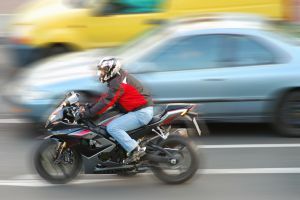 The authors of the study concluded that this practice can be safe when the traffic surrounding the motorcyclist is moving along at a pace of 50 miles per hour or less – and the rider is not going more than 15 miles per hours faster than the vehicles being passed. Given the inherent dangers involved in this practice – be sure to only attempt lane-splitting when the possible gains for your ride fully outweigh the serious risks to your safety. 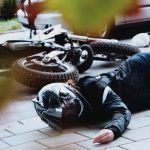 I’ve had a motorcycle accident, what do I do at the scene? I’m Ed Smith, a Roseville Motorcycle Accident Injury Lawyer. If you, or someone close has been injured in a motorcycle crash, please call me at (916) 921-6400 for free, friendly advice. I can also be reached at (800) 404-5400 toll free. I belong to the forum of Million Dollar Advocates. We are ranked top trial attorneys in the United States. We have obtained $1 million or multiple million dollar injury settlements and verdicts for our past clients. See some of my verdicts and settlements here. My client ratings and reviews are available at: Avvo (the lawyer review site), Yelp, and Google.